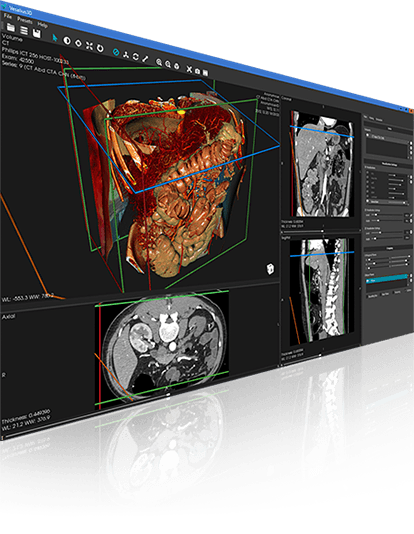 Vesalius3D is an easy to use, intuitive, medical imaging application. 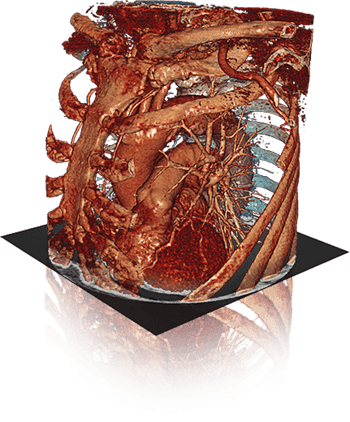 Vesalius3D is easy to use and comes with a wide range of functionalities. New users will be up and running fast. Click here to have a look at the Vesalius3D Frequently Asked Questions page. 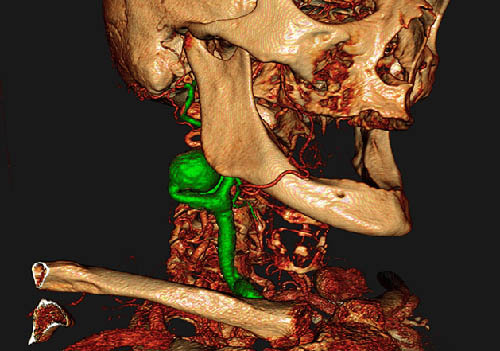 Vesalius3D combines high quality volumetric visualization with easy navigation. This combination allows for fast and efficient visualization and understanding of complex volumetric data. Most 3D analysis software packages evolved from 2D analysis software and are built upon a 2D foundation. Vesalius3D is different; it was built around a unique 3D rendering engine, combining traditional 2D views with an easy to use 3D view. Vesalius3D renders live. Actions of users are immediately seen in the 2D or 3D views. Vesalius3D was created to give the user the right tools for the task at hand. Access to both 2D and 3D interaction tools is therefore an integrated part of working with Vesalius3D. 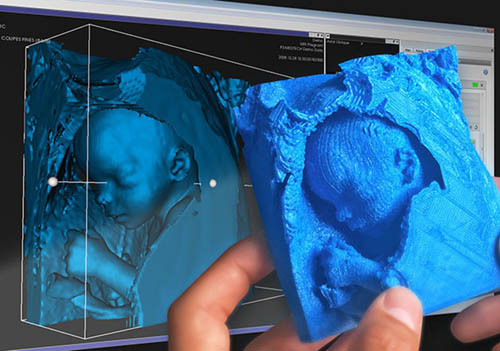 Vesalius3D offers both 2D and 3D windows side by side and customizable to the user’s requirements. All views have full screen support, are detachable, and can be arranged on multiple monitors and screens. Traditional 2D views are offered in conventional axial, coronal, sagittal directions. Oblique planes are available to offer a 2D view of any cross section of the data. Mouse/keyboard interaction is used for moving and zooming in/out, window level and center manipulation, and resetting the view settings. The 3D windows have been designed with ease of use and understanding of 3D structures in mind. The 3D overview windows give the treating physician a clear view and instant insight into the patient specific anatomy. Point picking allows the user to correlate a specific point in 3D with its corresponding 2D planes. Presets define how data is presented to the user. They are efficiency tools used to present the user a visualization fast (Protocols) or to save the work done on a dataset (States). A protocol contains predefined starting visualizations that allow users to quickly get to the desired point of view and visualization. Using a protocol opens the dataset in a standard visualization and point of view. Within a protocol, multiple visualizations can be stored that allow the user to toggle through a list of preset visualizations. States are a powerful tool to store your work and be able to get back to the exact view and layout later. The state saving functionality stores all settings related to a specific data set: view layout, render objects and settings, cropping planes, transfer functions, quantification objects, etc..
Vesalius3D provides various tools for measurement. There are 2D and 3D quantification tools. Extractions enable better understanding of the patient’s anatomy, enhance preoperative planning and are used for education. The Extraction module of Vesalius3D contains the tools for extraction of anatomical structures from any medical imaging modality. The structures are extracted in a few minutes. Vesalius3D features a step by step process to guide users through the extraction process. The process is easy and users can see the effect of their actions immediately. Vesalius3D uses masks for extraction. Masks are filters applied to the data that result in an extraction of the data. Vesalius3D uses a range of masks. The combination of a set of masks is the extraction. Typical masks are cropping boxes, threshold values, erasers, previous masks and the possibility to select single or multiple components. The Vesalius3D Data Library is used to manage and store 3D image data and its corresponding meta data. 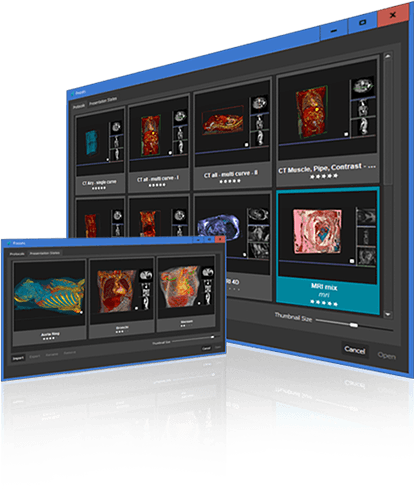 The Vesalius3D library supports data of multiple modalities and formats including 2D image stacks in most common formats, various RAW formats, and DICOM images (“.dcm” extension). Vesalius3D is compliant with the DICOM standard for image communication and image file formats. The PACS module allows for query and retrieve of image files from PACS. Vesalius3D will work on many Windows-based PC’s and laptops. Depending the size of the data more resources of your computer are allocated. You can use a free trial license to test your configuration.